The dude in the chair in this video is Nathan Claridge. He's a regular, early 21st-century human being. 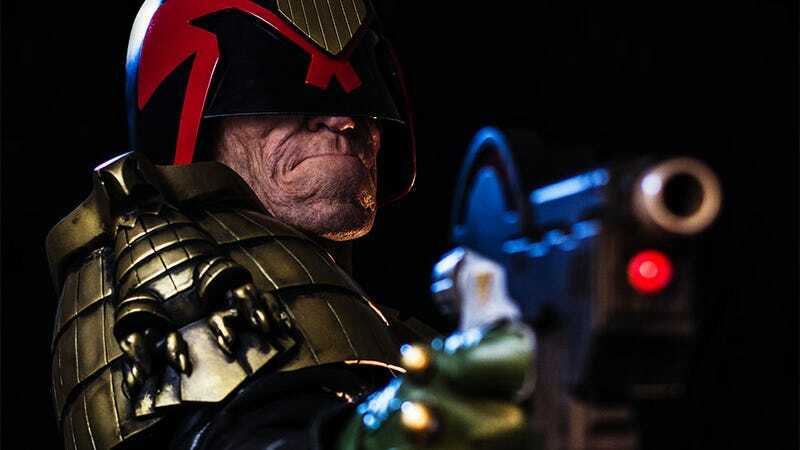 At the end of a long session with make-up artist Patt Foad, though, he's become killing machine and one-man judiciary system Judge Dredd. This goes a little above and beyond your standard cosplay. This is Hollywood-level stuff.